“Employees are the most important asset of an organization.” You must have heard this catchphrase before. In fact, some of you are already tired listening to this age-old phrase repeatedly. But hold on and think for a moment! What have you done to nurture and retain this asset? Does your organization offer best work culture to keep employees happy? Do these employees get opportunities to build good relationships with their colleagues? Do they have tools, knowledge and resources to accomplish their goals? Do employees feel empowered at your workplace? You will ask, why employees need to be empowered. A study found that organizations leveraging employee empowerment have 50 percent more customer loyalty than companies where employees do not feel empowered. A company focusing on empowerment of employees always stands out, with greater productivity and high engagement levels. 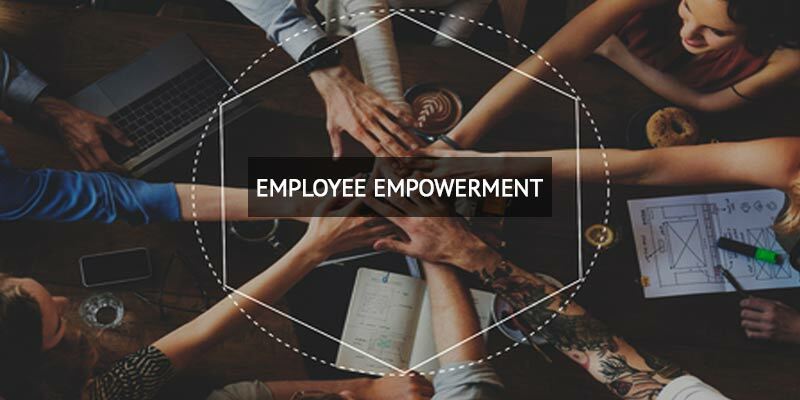 In an organization, empowerment is used as a strategy to entrust employees with the power, tools and resources to accomplish individual and team goals. Empowered employees have the responsibility to make decisions on their own. It gives them the ownership of work and sense of pride to work independently. An employer empowers employees to create a happy and engaging work environment and offers flexibility to people to put their best foot forward. Employees need to be treated well in an organization because the success of a business entirely depends on the performance of its workforce. No doubt, Employee Empowerment is a powerful motivation technique which revives profitability, work culture and improves employee satisfaction. Managers can play a vital role to get extraordinary performance from their team. All they have to do is believe and trust the intentions of their team members and support their decisions. Letting them know that the way they work, the decisions they take and the choices they make are appreciated and trusted. Give clear directions to the team and support them to take ownership. When employees clearly know what needs to be achieved, they don’t waste energy and time on second-guessing and stay on the job to accomplish goals. Appreciate each team member in a unique way. Actions and words show how much you value a person. Show positive attitude while working with your team. When you value them, make it visible – through appreciation, rewards or a simple Thank You note. Do not doubt the ability and decisions of your team members. In a work culture where employee opinions are disregarded, the overall performance remains average and not satisfying. Even if your company has a top to down communication approach where the leadership takes all the decisions, make sure the ideas and opinions shared by your workforce do not go unheard and unnoticed. Though leaders have clear direction and experience for better decision making, yet there’s no harm in taking feedback from people. Never underestimate the value of appreciating employee ideas. This boosts their morale to unimaginable boundaries. Make it possible to involve employees in setting their performance goals. Take help of reliable tools. Empower employees with clear expectations from their job role. Provide support to help them achieve their goals. If you think knowing team and individual goals is the only important thing, you may be wrong. Sharing leadership vision with employees is equally important. Let people feel they are part of a bigger goal, which is larger than their individual job. Each team member must have access to a company’s vision, mission and strategic plan. Let employees participate in strategic planning on department level to achieve bigger goals. Engage employees in one-on-one conversations to listen to their challenges and problems. Speak about the goals and work progress. Discuss issues, provide solutions and appreciate the work. This must be a regular exercise. Try to go to a personal level and show interest in personal problems of employee. It can be an effective way to win employees’ trust. This leads to a friendlier and productive work environment. Employees feel empowered when they know that their problems are being heard and they get solutions to them. Technology has simplified employee related processes. Many employers are already using advanced HR tools to streamline processes, create simple workflows and improve efficiency. Availability of online HR tools make employees feel empowered. Employee self-services portal gives flexibility to people to manage and access their own data round the clock. It gives flexibility to access leave, attendance, expense and travel records at any time. With ESS portal, employees can get all answers to their payroll related queries in a few seconds. This eliminates the need for employees to connect with HR and Finance department to collect information. Time and energy is saved in query handling and employees use user friendly portals to access data. This also ensures compliance and reduce costs. Learning new skills is advantageous for individuals as well as the organization. An employer must encourage self-improvement where people learn and develop new skills to enhance professional growth. Be supportive if your employees express the need to learn skills and gain knowledge. Help them through the training process, in whatever ways you can. Just because employees have got goals and deadlines to meet, do not let them stay limited to this. Encourage them to be more creative. There is always more than one way to do a task. Always set flexible time limits to accomplish goals such that employees get enough time to think creatively and bring innovative solutions to the table. More you encourage creativity, better would be the results. 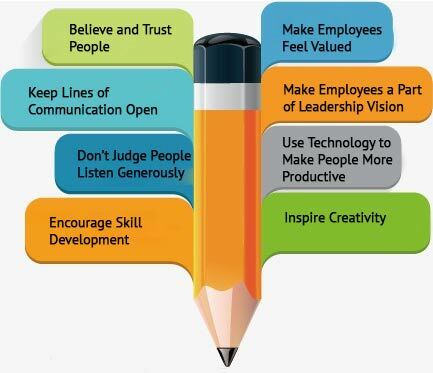 Remember, employee empowerment is essential for the employees, customer and the organization.